Landing a deal on Friday?s episode of ?Shark Tank? 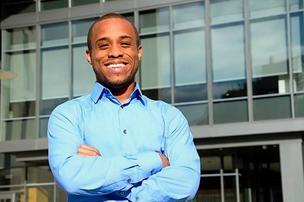 was easy for the creator of Scholly, a mobile app that helps students find college scholarships. On a special episode highlighting small businesses started by college students, Scholly chief executive Christopher Gray ? a junior at Drexel University ? shared his personal story of having to struggle to afford college. He wasn?t able to apply to certain schools because he couldn?t afford the application fees, he said. ?Scholly isn?t just a business ? it?s my passion,? Gray told the sharks. ?I want to help students like myself find money to go to the college of their dreams.? When Gray said that the app, for iPhone and Android devices, had already sold 92,000 copies at 99 cents each, that?s all Lori Greiner needed to hear. Before Gray even finished his pitch, and while other sharks were still asking questions, the QVC-famous inventor offered the full asking price ? $40,000 for 15% of the company. ?I believe in you,? she said. ?I believe what you?re doing is good ? . I?m not even going to ask you how do we monetize this, but I want you to say yes.? That didn?t sit well with Mark Cuban, Kevin O?Leary and Robert Herjavec. Mark and Robert, both with extensive tech backgrounds, wanted to know what technology would be used to keep the app?s list of thousands of scholarships updated and how the company would scale up from a team that included just two engineers. Read more at Nerd Wallet. ?